As with everywhere he goes, Ago politely signs autographs and quietly acknowledges his place in history at the forefront of our fabulous sport. The heroic achievements that he carries with him are not lost on the fans. The circuits, the rivals, the racing heritage, those 15 world championships and 10 TT wins were in an era of intense danger. The Aussies recognise this and visibly enjoy him being amongst them. 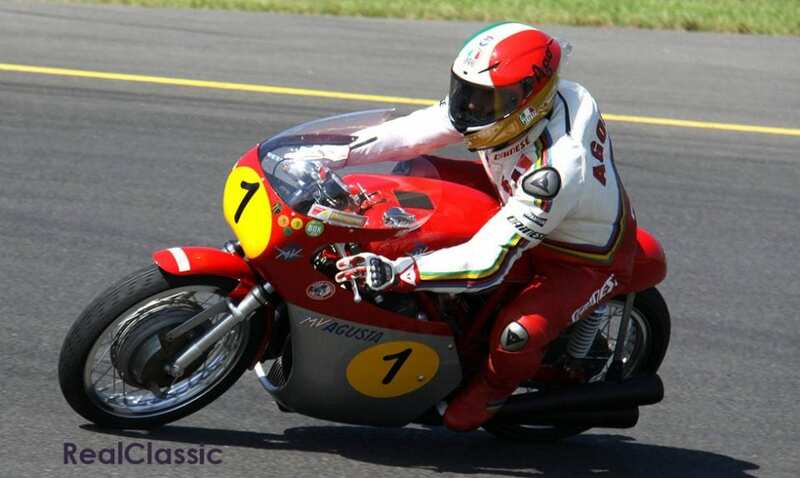 Once he’s suited up in the red Dainese leathers, and sat astride the incredible red and silver MV Augusta, they know they are in the presence of the master, the hero and racing legend. The three icons become one – the man, the bike and that MV roar! 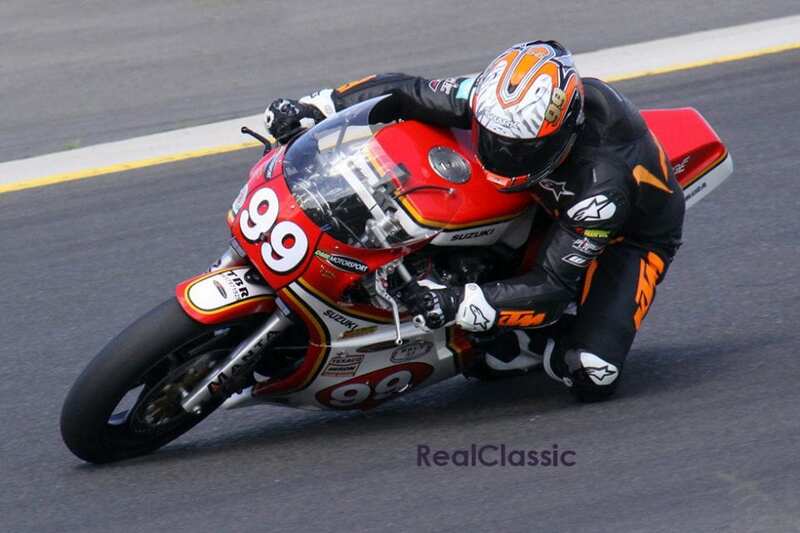 Eastern Creek, or Sydney Motorsport Park as it’s now known, has been running this fantastic event for 14 years. 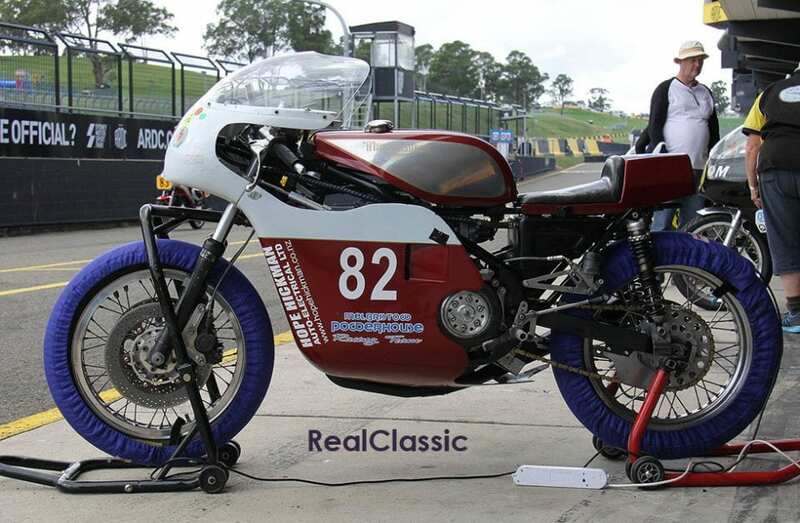 It’s hosted by the Post Classic Racing Association of New South Wales and this year it lined up a host of motorcycling stars to parade and meet and greet race fans from around the world. Along with Ago, Steve Parrish, Pierfrancesco Chili, Piero Laverda, Troy Bayliss, Peter Martin, Graham Crosby, Maria Costello, Cameron Donald, Kevin Magee and Jeremy McWilliams are here to have fun out on track and with the excited crowd. 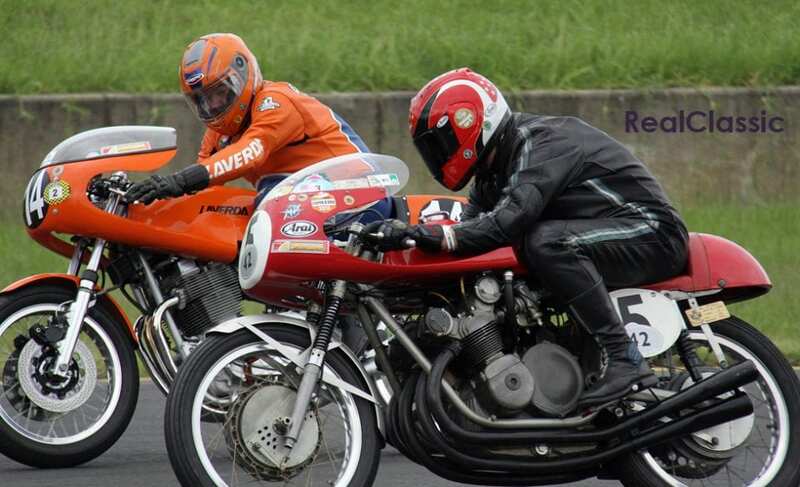 As well as the race stars, this year sees a celebration of Italian GP motorcycle racing and in particular the Laverda marque – those glorious orange race bikes. Piero Laverda is here, great grandson of the Laverda founder Pietro, along with his son Giovanni. 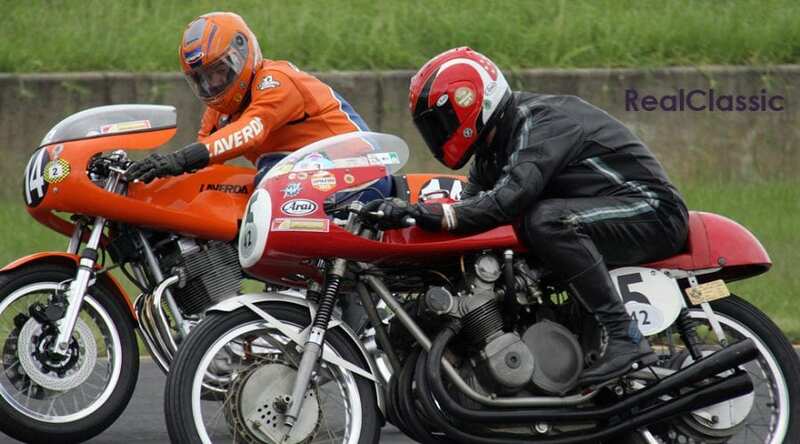 Between them they have brought a stunning array of bikes including the famous Laverda V6 endurance bike built for the 1978 Bol d’Or at Paul Ricard. This 11,000rpm, 140bhp, 153mph beast is a work of art. 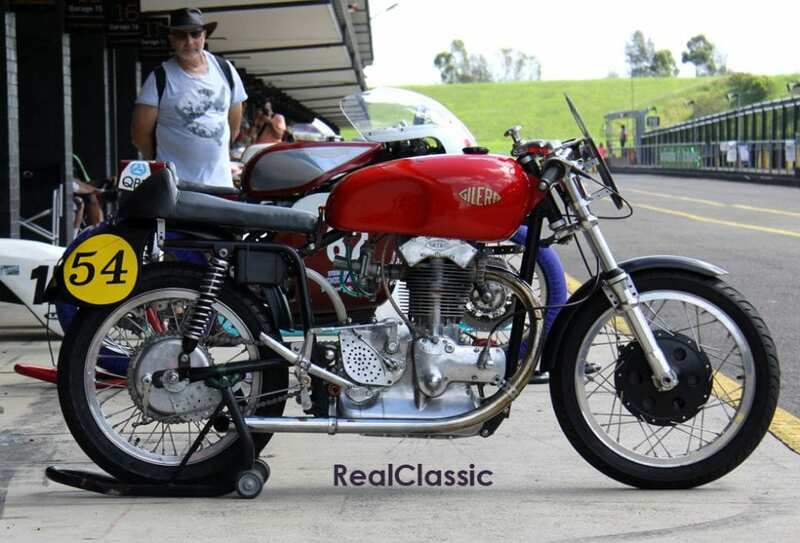 it looks fantastic in all its bug-eyed glory, both parked up on display amongst the other rare machines and on track being demonstrated by Piero and Gio along with a dozen other racing Laverdas. This is an Access All Areas event – the paddock and pit lane are open to everyone – so it’s easy to mingle with the stars, pick their brains or simply enjoy the banter. 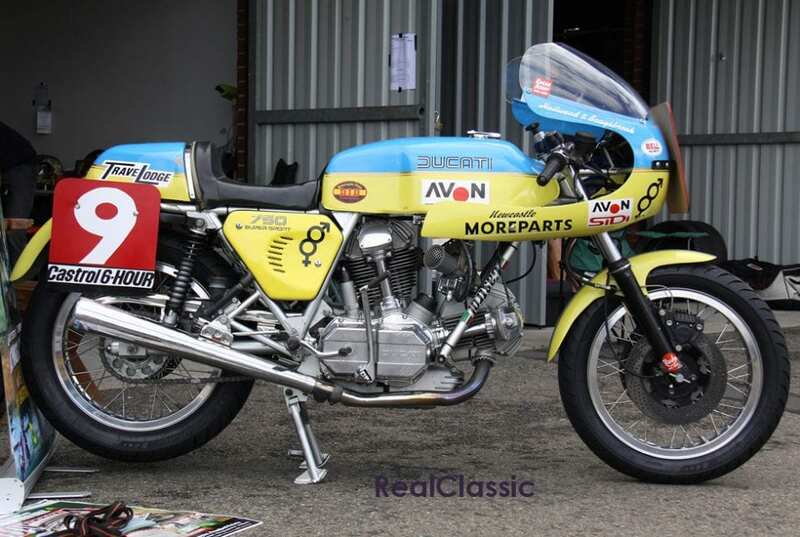 It’s fun to watch Graham Crosby tinker with his RG and tease him about that infamous 1980 TT win. He ‘won it fair and square’ he says! Or discuss the North West 200 with Jeremy McWilliams. Everyone’s happy to chat about our favourite subject – bikes! There’s also a few extra treats for the crowd, as Jeremy Bergess (ex-Rossi crew chief ) is on hand, fettling two-stroke Suzukis. 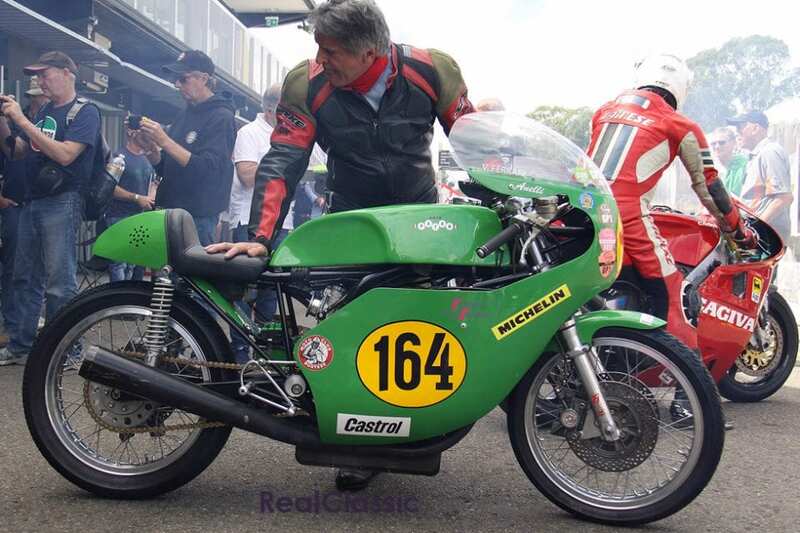 Watching and listening at such close quarters to him inspect rotary valves and carburetors, and warming-up Sheene-era Suzukis is a fabulous cameo. Alan Cathcart is also in attendance demonstrating a 900 Ducati. 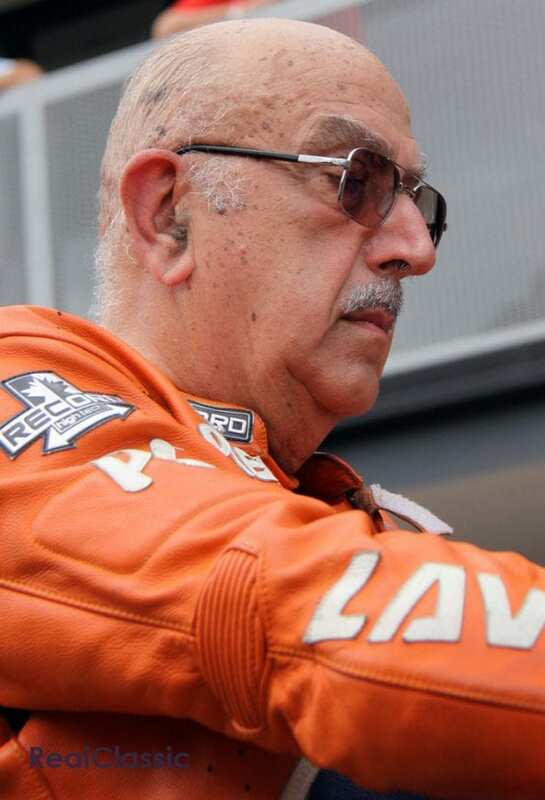 Jim Scaysbrook is also here for the Festival, a brilliant racer and team mate to Mike Hailwood when he raced at the Castrol Six Hour Race at Ameroo Park in Australia in 1977. The Ducati 750 SS they rode is here at the event, being demonstrated by Jim, and a fine nostalgic piece of machinery it is too. But it’s not all nostalgia and parading, there’s some serious racing to be done. 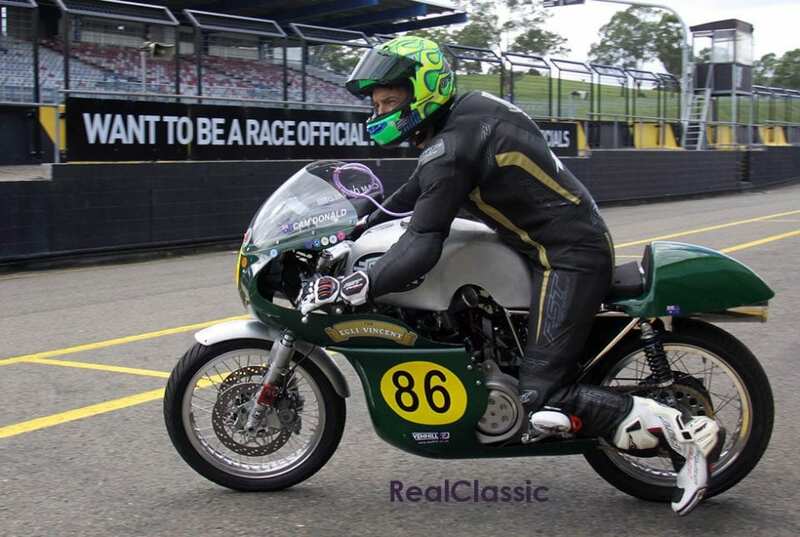 TT legend Cam Donald leads the charge for the Aussies aboard a beautiful Egli Vincent Godet and hard-working GP and Irish road-racing legend Jeremy McWilliams on a Suzuki. Let it not be said they are here just for the fun they really take these bikes to the limit and some great racing is on display. The paddock is well stocked with classic racers as expected – Manx Nortons, Gileras, Triumph Tridents, Matchless machines and more modern classics – TZ Yamahas, Ducatis and up to ZXRs and GSX-Rs. 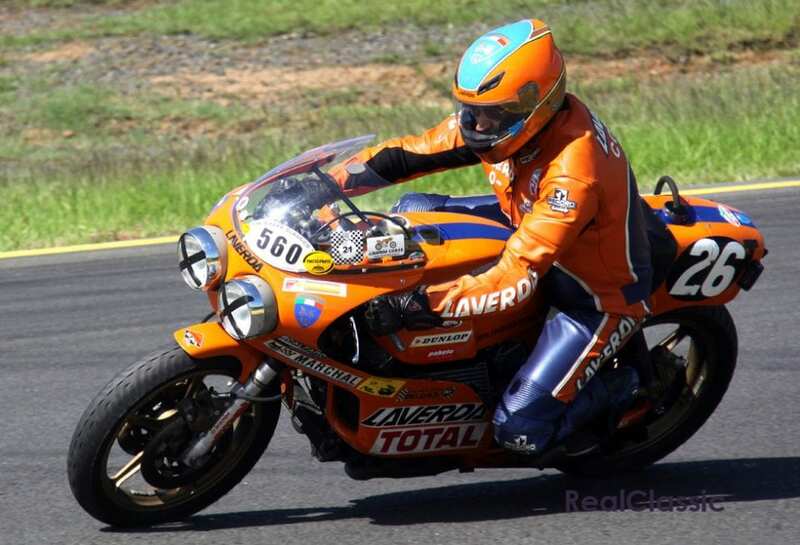 Sidecars too have a presence with an immaculate 1300cc Irving Vincent outfit getting a lot of attention. There’s a stunning Konig outfit circulating which is a work of art and is powered by a fantastic engine. There’s something for everyone here, with racing over the three days from 9am til 6pm. If you can pull yourself away from the action on the track there’s plenty to see in the paddock – so many people to talk to about the bikes (it’s our favourite subject, after all…) Many an hour can be spent meandering through the displays and enjoying the ambience and making new friends. You can even pick up that missing piece for your bike build by looking through the well-attended swap meet. If you’re ever ‘down under’ in late March be sure to check out this event. I for one will be marking my diary for next year’s fun. Previous Post:April issue: out now!